Take a self-guided walking tour of the grounds, heritage plantings, and buildings of The Sutherland Forest Nursery Station (Saskatoon Forestry Farm). The station was established in 1913 to produce shrubs and trees for farm shelterbelts. 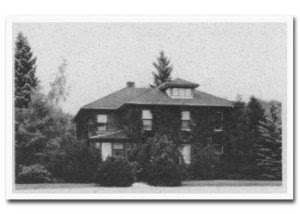 The Friends of the Forestry Farm House are offering a guided walking tour with refreshments for a nominal cost on Sunday, August 28 at 2 pm. Call Peggy at 652-9801 for information. The Saskatchewan Environmental Society will be holding its 6th annual Sustainable Gourmet Dinner on September 24. Call 665-1915 to purchase tickets. The Canadian Wildlife Federation is celebrating its 50th anniversary with the Reflections of Nature 2011 photo contest. They’re accepting high-resolution photographs of flora, fauna, landscape, and urban wildlife. Deadline for submissions is October 31. Playlist for the Planet, produced in support of the David Suzuki Foundation, features some of Canada’s finest songwriters and performers, including Randy Bachman, Joel Plaskett, Bruce Cockburn, K-OS and Sebastian Granger, Gordon Lightfoot, Todd Butler, Hayley Sales, Alpha Yaya Diallo, DOA, Tom Jackson, Johnny Reid, Raffi, LIGHTS, Jessie Farrell, Rush, the Trews, Tara Grand, Great Big Sea, and Tanya Tagaq. CDs are available at McNally Robinson Booksellers or the Playlist can be downloaded on iTunes (12 bonus songs). The National Parks Project is a compilation of music and film inspired by Canada’s national parks. 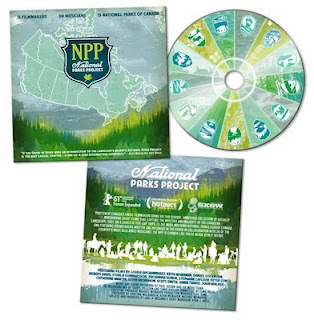 The project involved 13 filmmakers, 39 musicians, and 13 national parks. You can stream or download films and music or purchase hard copies. The Schuurmans family has sold 1,342 acres of their land at Fairy Hill to the Nature Conservancy of Canada. The land, about 40 kilometres north of Regina, includes grasslands, woodlands, river and floodplains. It’s a staging area for migratory birds as well as a freshwater reserve, protecting water quality and mitigating the effects of flood and drought. The Human Factor exhibit in the Life Sciences Gallery of the Royal Saskatchewan Museum, Regina, has won praise from UNESCO for effectively educating people about sustainable development. 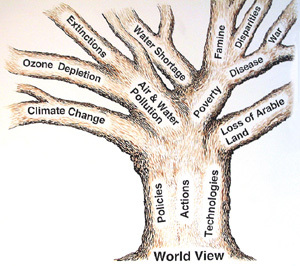 The exhibit looks at how people’s cultural attitudes and beliefs can negatively affect the environment through problems such as global warming and pollution. The Government of Manitoba is considering using recycled shower water to create ice in provincial skating rinks. Once the feasibility study is completed, they plan to run a trial project at Winnipeg’s Dakota Community Centre. “Jacques Levesque, general manager of Winnipeg’s Dakota Community Centre where the pilot project is taking place, said the centre’s showers use about 450 litres of water every hour. With two indoor ice rinks and three outdoor winter rinks, Levesque said the centre spends up to $35,000 on water every year.